If your vehicle has lost a battle with your garbage can, child’s toys or any of life’s other mishaps, Govert can help. From major collision repairs to minor dents & dings, our auto body & paint staff is highly trained & skilled to restore your vehicle to its original condition. 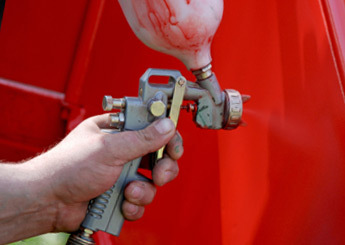 Utilizing the latest technology & PPG Envirobase refinishing systems, our paint technicians can provide you with the same quality baked finish as the factory. All of our auto body & paint work is backed by a limited lifetime warranty for as long as you own your vehicle. From substantial collision repairs to minor dents and dings, our staff is highly trained and skilled using the latest technology and industry repair techniques to restore your vehicle to its original condition. Our I-Car Gold class auto body technicians will give you the peace of mind that your vehicle has been repaired properly. All of our auto body and paint work is backed by a limited lifetime warranty for as long as you own your vehicle. If your vehicle has lost its battle with your garbage can, child’s toys or any of life’s other mishaps Govert can help. We've gone Green with PPG water based paint. 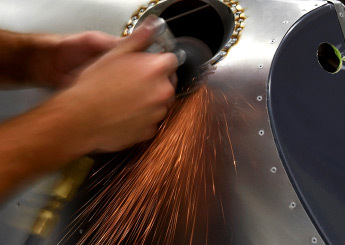 Utilizing the latest PPG Envirobase refinishing systems and computerized color matching, our paint technicians can provide your vehicle with the same quality baked finish as the factory. All of our paint work is backed by a limited lifetime warranty for as long as you own your vehicle. 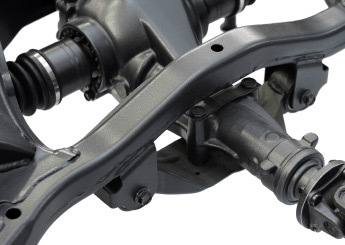 With the correct equipment, a damaged frame or unibody can be repaired to its original factory condition. Our laser measuring system gives us the exact specifications needed to straighten the frame or unibody of your vehicle with no loss of structural integrity. Govert is a Certified Collision Care Provider for Ford, GM and Mopar. We have been certified by meeting or exceeding the required Auto Manufacturer standards specifying necessary tools, equipment, training and customer service. As a Certified Collision Care Provider we have the capability to repair vehicles to manufacturer specification now including aluminum critical panels. These requirements are essential to ensure the fit, finish, durability, value and safety of your vehicle. 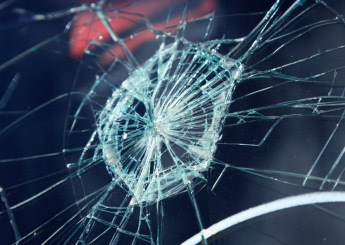 We'll arrange for glass replacement services for your vehicle whether its part of a complete collision repair or a slightly broken or damaged windshield. Glass replacement services are provided by local glass specialists and are completed on site at our facilities to ensure that there will be no delays or problems. Our staff can cost effectively repair any major or minor interior damage, such as cigarette burns, broken seat tracks or cracked trim panels. 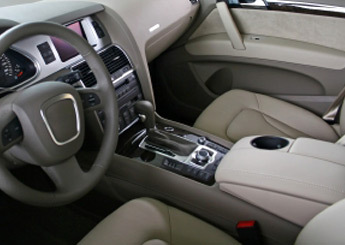 If your automotive interior upholstery is significantly worn or damaged we can completely replace the worn out fabric and restore your vehicle's interior to new. Govert also offers paintless dent removal. 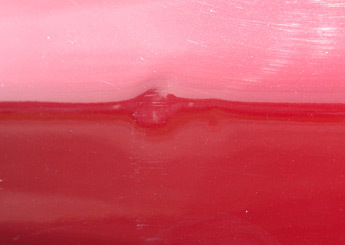 In some cases a minor dent can be taken out without doing any paint work. This can be a much more cost effective way to repair small dents. 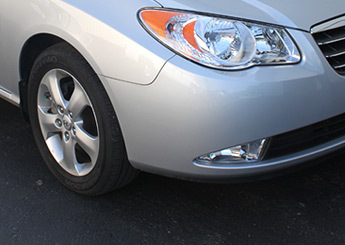 Ask one of our service representatives if paintless dent repair is an good option for your vehicle. Having an accident is stressful. Choosing where to have your vehicle repaired shouldn’t be. Come into one of our 2 convenient locations for a free estimate and we’ll take care of the rest. No appointment neccessary. Govert strives to make auto repairs as easy as possible for our customers. 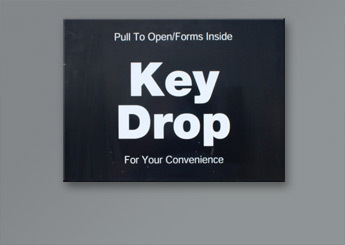 After hours drop off is available at both our Griffith and Merrillville facilities. You can feel safe knowing that your keys our locked and secure in our building. Had an accident, but don't have any rental coverage? No problem. Our loaner vehicles are available free for customers who don't carry rental coverage. *Loaner vehicles are subject to availability. Full coverage auto insurance is required. Customers are responsible for all loss and/or damages not covered by their insurance. Vehicles must be returned with the same amount of fuel. Limited to Govert’s collision repair customers. Your vehicle must be a repairable vehicle and in our shop for the repairs. During the repair process if there is additional damage found and your vehicle becomes a total loss the loaner vehicle must returned upon notification. Other rules and restriction may apply. Please fill out the form below to schedule an appointment for a Free Estimate. Appointments are not required for estimates, but may help to reduce your wait time at our office. 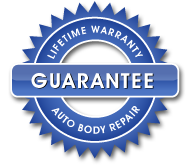 All Auto Body Work comes with a Lifetime Warranty*. First Name Last Name Company (optional) Phone Number Email Address Sign me up to receive news, special offers and vehicle progress emails from govertauto.com. Appointment are subject to availability.